At Coffee Inspiration with our fresh approach, let us help you improve your coffee offering. There are lots of components that go into making delicious drinks: quality coffee and products and well manufactured and maintained equipment. Let us help you serve premium drinks throughout your business. There are so many different styles of coffee, all of them delicious. Let us find that coffee style and blend to suit your business. We can advise you on the best products and equipment for filter coffee, fresh barista style bean to cup espresso based drinks and frothy instant drinks. We can help you with high quality teas, infusions and hot chocolates. Different environments vary in throughput and volume of drinks. Coffee Inspiration can find a solution to meet these needs, while at the same time ensuring that your coffee offering is of a premium quality. With our extensive knowledge, we only work with manufacturers that make robust equipment of the utmost build quality. The components that go into the machines that we offer ensure a long life span and give the highest of reliability. Most importantly, the way a machine is manufactured and the way it makes the drink is crucial to what finally goes into the cup. We only partner with manufacturers that make machines that serve the best coffee on the market consistently every time. Importantly, we also ensure that all of the preventative maintenance measures are carried out throughout the year to ensure your equipment performs at its optimum level. At Coffee Inspiration, Customer Care is the core of our business, which is what makes us successful. We are quick, responsive and flexible to our clients requirements. We are passionate about helping you serve a premium drink offering while supplying you with the service that your business deserves. By partnering with the most reliable equipment suppliers on the market, down time will be minimal. However, when you need us, our nationwide engineers are quick to respond and are here to support you 7 days a week if required. We are based in St Albans, Hertfordshire with national coverage. While delivering the best drinks around, we have a social conscience and are ethical in our sourcing. We have a great interest in the good work being carried out by the Rainforest Alliance and Fairtrade Foundation and endeavour to have a large proportion of these products in our range. The Rainforest Alliance was founded in 1987. It’s conservation work was based on the understanding that the health of the land is inextricably linked to the quality of life of those that depend on it for their livelihoods. They set to work designing market-based solutions to address the global crisis of rampant deforestation. Since the beginning, their approach has been to promote and reinforce ecosystem health, economic opportunity and the well-being of communities as inseparable elements of sustainability. Over the past two and a half decades, they’ve fostered connections between a kaleidoscopic array of collaborators, from farmers and tourism businesses to consumers, distributors and companies. As a result, more than 128 million acres (51.8 million ha) of land in more than 100 countries are now sustainably managed or conserved, benefitting millions of people across the globe. As they work to realise their vision of a truly sustainable world, they emphasize the following key elements: biodiversity, social responsibility, an ethical economy and climate resilience. The Rainforest Alliance aim to halt the destruction of the rain forests by providing solutions to the problem of deforestation. It sets out to provide farmers with economic incentives to stop them destroying their environment. Certified farmers under the scheme can receive an extra 10 to 60 cents above the market price for a pound of green coffee beans. For growers to be certified by the alliance, they must meet a list of “sustainable agriculture principles”. These include conserving local wildlife and water resources, minimising soil erosion and treating workers fairly, as well as protecting forests and reforesting where possible. In return, they receive the tools to lift themselves out of poverty and open their coffee to more profitable premium markets. Assistance is given to help them become more cost-efficient, for example, being shown how to transform the coffee pulp into fertiliser, which used to be discarded, hence negating the need to spend money on this item. The objective of the Fairtrade Foundation is relieve poverty, suffering and distress in any part of the world and promote research into and education concerning the causes and effects of poverty, particularly in relation to the conduct and to the conditions of employment (including self-employment) of poor people in any part of the world, and publishing the useful results of that research. 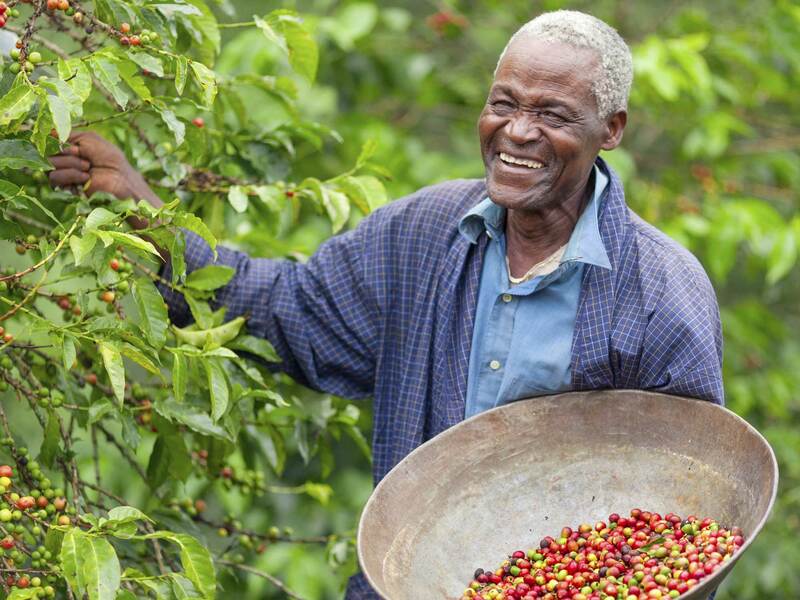 To relieve poverty in the world’s least developed countries, the Fairtrade Foundation licenses the use of the ‘Fairtrade’ mark that meets international Fairtrade standards. The sales of such products relieve the poverty of producers in the developing world by ensuring that they receive at least a fair price for their goods and an additional social premium. The social premium is democratically allocated by producers to develop and support local community projects, such as schools or equipment, clean water and health care, or to improve the productivity of their businesses. The Fairtrade vision is of a world in which justice and sustainable development are at the heart of trade structures and practices so that everyone, through their work, can maintain a decent and dignified livelihood and develop their full potential.